dbclunie: DIY : Fab Speakers - Out of Jars! DIY : Fab Speakers - Out of Jars! 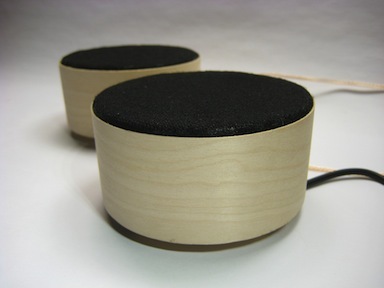 Maker David A. Mellis created a awesome speaker project called Fab speakers. Over on his site you can see examples of the project, not yet a kit, and even download all the files to create your own set! Maker Sarah Pease did just that and she designed her own version, made out of mason and jelly jars! Simply Amazing! Check out Sarah's page here for her take on David's project. If you craft your own set, shoot me an email with a pic or two of the finished project and I'll include it in this post!